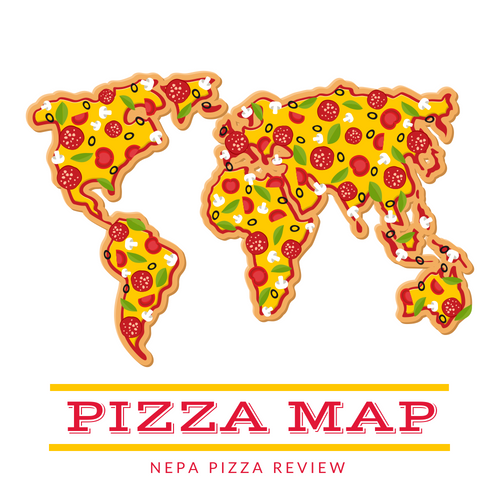 I've been on a streak of not so good pizzas, so it was time to go back to the well of reader submissions, which is where I find some great pies. 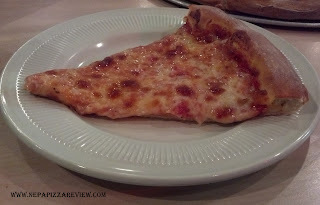 This time, I thought it was time to try out Preno Pizza Cafe in Scranton by the Scranton High School. Besides the broken sign, the place looked very nice in the newer complex. I was pretty impressed by the cafe metro style interior. It was big, spacious, pretty clean, and had a cool layout. There was a small bar in the corner, which looked pretty cool, but I couldn't really picture it doing a lot of business. Out of fairness, I did not drop by on a Friday or Saturday night, but I just can't picture this place getting a night crowd. It strikes me as more of a lunch establishment. 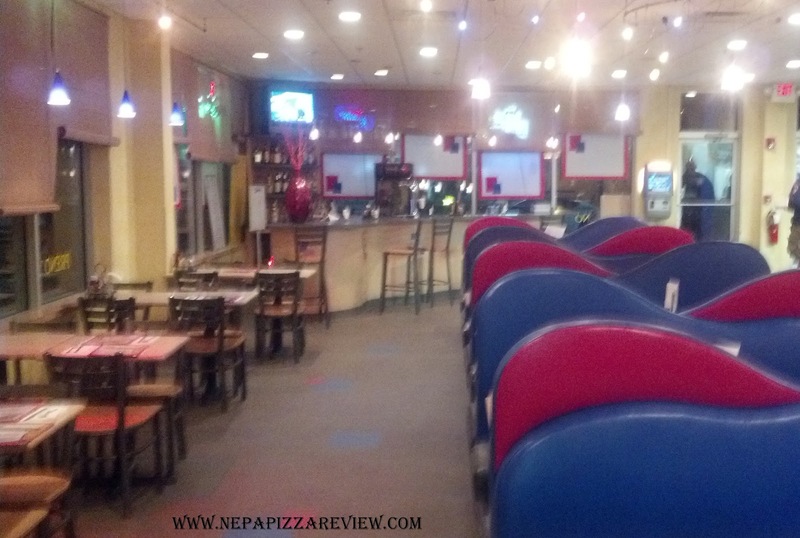 I placed my order of a medium cheese pizza at the counter, and took my seat in the comfortable booth. 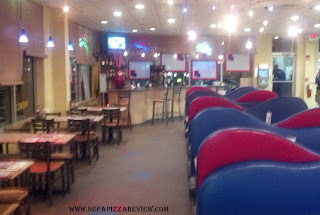 As I waited for my pizza, I checked out the rest of the menu which has a pretty good variety of appetizers, pizzas, strombolis, hoagies, burgers, and entrees. The prices seemed pretty average for Scranton ($7 for a hoagie, $15 for an entree). After a somewhat lengthy wait for my pizza on a slow night, I grew more and more grateful for the free wifi that was offered so that I could write my review on the fly. Finally my pizza had arrived, and I must admit it was looking pretty good. It looked a bit greasy, with plenty of cheese, and had a nice thick outer crust, which I'm a fan of. Speaking of crust, it was a traditional thickness for a New York style pie, and was quite tasty. Unfortunately it was cooked on a screen, so there wasn't much crunchiness which is a shame because this type of dough would be fabulous on a brick in the oven. 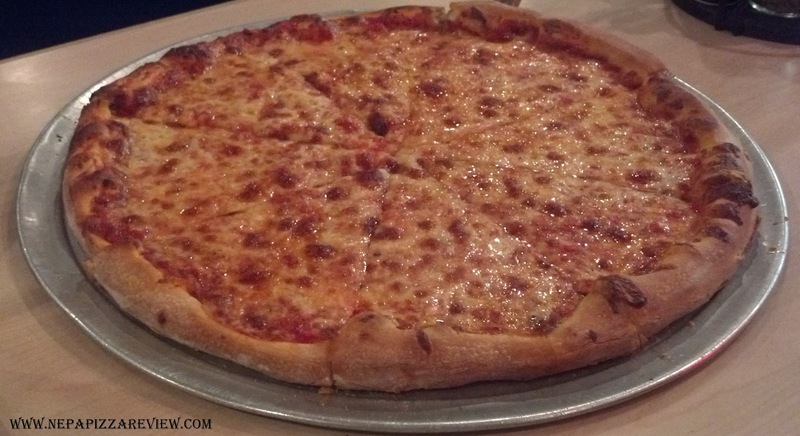 As I said, there was plenty of cheese, enough to be considered extra cheese at a lot of pizzerias, which caused it to be greasy and a bit salty. The saltiness didn't really take too much away from the pizza though because the sauce was a nice and light sauce with high quality tomatoes. I really enjoyed how the freshness of the sauce and the density of the dough sort of balanced out the saltiness of the cheese. It wasn't a perfect balance, but I don't know many people who complain when the pizza guy goes a little heavy on the cheese! This isn't your normal light and airy pizza that you can literally eat an entire pie. I felt pretty full after just one slice, and I'm a big eater. I'd say the medium pizza (14 inch) can comfortably feed 3-4 people so the $11.00 price tag isn't all that unreasonable (factor in the extra cheese factor, and we'll call it a solid deal). If I were going to improve this pizza, I would apply less cheese to cut down on the saltiness as well as reduce the amount of weight on the dough and allow it to be more airy and light. I'd also cook the pie directly on the bricks for a little crispiness. Other than that, I really enjoyed this pizza, and thank you to my readers for breaking my streak of bad pizzas! Preno's has a ton of potential judging by it's location, nice dining area, full bar, diverse menu, and quality food. I got the feeling that the place isn't realizing its potential and can use a bit of a style and format refresh to really put it over the top. Pizza was above average.